Dr. Caleb Siefert is a Licensed Clinical Psychologist with over 15 years of professional experience. Dr. Siefert earned his Ph.D. in Clinical Psychology from the Derner Institute for Advanced Psychological Studies at Adelphi University in 2005. He went on to complete post-doctoral degrees at Massachusetts General Hospital (MGH) and Harvard Medical School (HMS). After his post-doctoral training, he accepted positions as a practicing clinical psychologist at MGH, and as an instructor at HMS. During this time, he worked in the inpatient unit, outpatient clinic, Behavioral Medicine Clinic, and the Psychological Evaluation and Research Laboratory. His research focused on assessment tools, personality and personality disorders, and neuroscience. 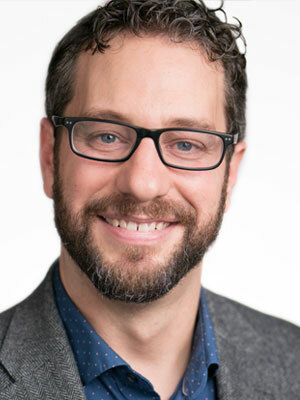 Since 2009, Dr. Siefert has held the position of Associate Professor of Psychology at the University of Michigan-Dearborn’s Health Psychology Graduate Program where he trains and supervises future psychologists. He teaches courses in emotion and cognition, personality theory, health psychology, and clinical psychology & psychotherapy. Dr. Siefert is also the Research Director of the Interpersonal Relationships, Emotions, & Personality Lab. His research focuses on emotion regulation, interpersonal relationships, and psychological assessment inventories. Dr. Siefert’s private practice at Arbor Psychology Group will focus on the assessment and treatment of emotional, relational, and personality-based concerns. He utilizes an individualized, assessment-informed approach to psychotherapy, insuring that he tailors his therapeutic approach to the specific needs of each client he works with. More specifically, clients working with Dr. Siefert complete a series of brief assessments over their first few sessions, designed to assist them in identifying their goals for therapy, and increase the overall efficacy of the process. This saves clients time and energy, facilitates self-understanding, and helps clients identify strengths they can leverage to address their challenges.